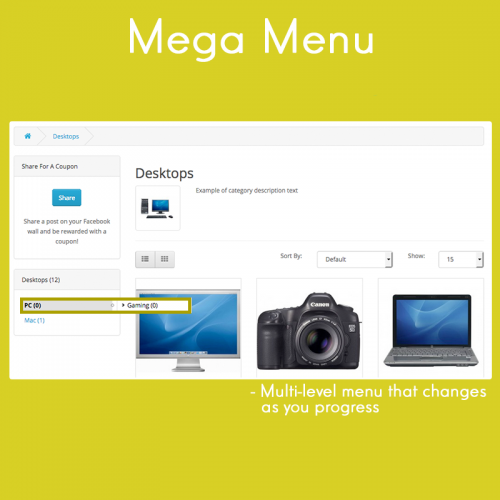 Mega Menu is an improvement of the Category Module in OpenCart. It allows you to have a drop down menu instead of the default listing for the sub-categories. As you move between the categories, it refines your searches and narrows it down. 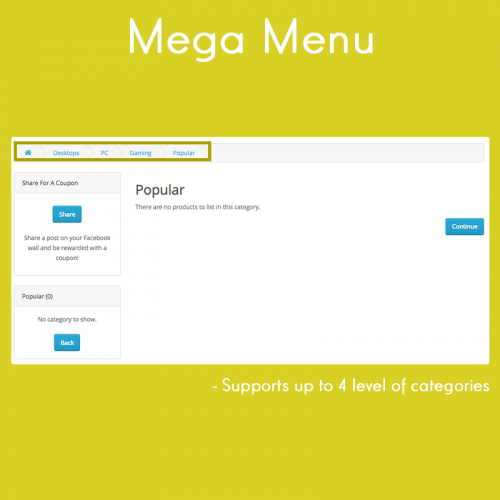 Mega Menu supports up to 4 layers. I.e. Category > Children Category > Grandchildren Category > Great Grandchildren Category. 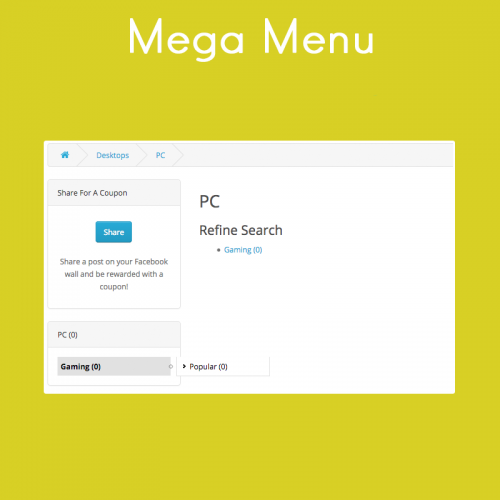 Mega Menu also allows you to easily modify the CCS styling to match your custom theme. Click the category "Monitors" (at the left bar) and notice how the side menu changes.